winston, originally uploaded by jahansell. Sharon has two new businesses to brag about. 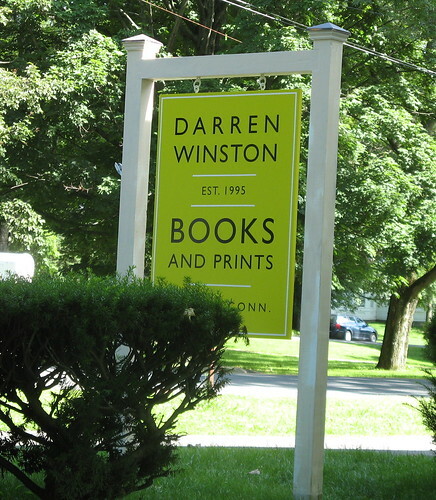 Darren Winston has opened a rare book shop in the space that until recently was occupied by Byzance (which in turn has moved to Salisbury.) I peeped in the window yesterday and hope to stop in soon. The other one is not open yet but I'll show it to you tomorrow.